After losing his job, Giles does the only logical thing. He gets very, very drunk. And in the haze of the bar he sees a girl. Not just any girl. Giles is sure that she�s the girl of his dream from the night before. Her name is Stephanie and it turns out that she�s a lot harder to impress in real life than in dreamland. To win Stephanie�s heart, Giles has to travel the world, turn his back on his friends and give up his other dreams of becoming a musician. But is she worth it? And is Giles really in love, or is it just good, old-fashioned lust? 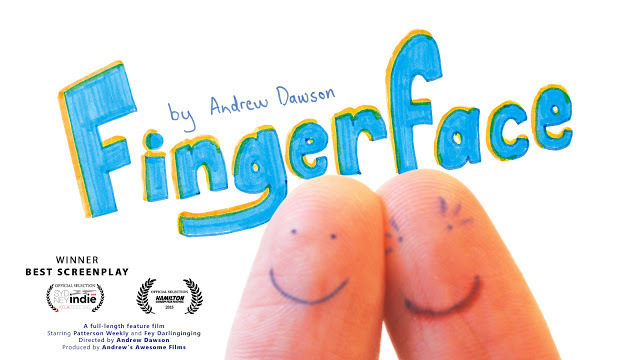 Fingerface will be released as VOD on December 1st, 2015. You can watch pre-order the film here or watch the trailer below.